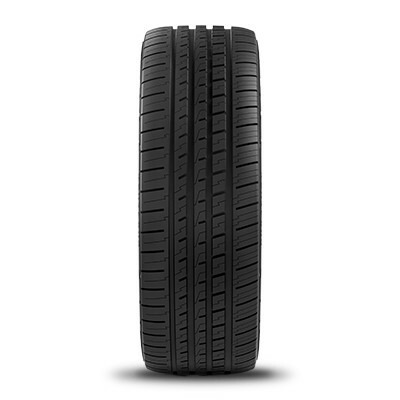 The Mozzo Sport tire from Duraturn was designed to provide better handling for sedans and sport coupes. Built in a variety of sizes, the Mozzo Sport offers superior performance while still providing a smooth, comfortable ride. 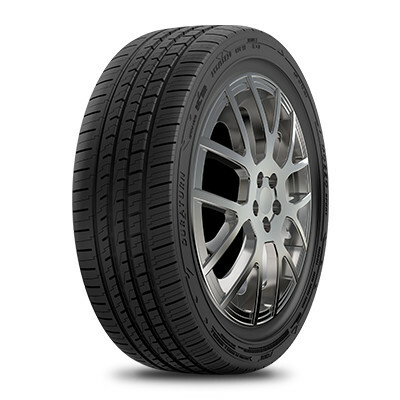 The Mozzo Sport tire from Duraturn was designed to provide better handling for sedans and sport coupes. Built in a variety of sizes, the Mozzo Sport offers superior performance while still providing a smooth, comfortable ride. The Mozzo Sport has four circumferential grooves to rapidly evacuate water and provide extra traction on wet pavement and an asymmetric tread design enhances handling and cornering. Mozzo Sport tires have advanced noise reduction technology that creates a quiet ride and double nylon spiral wrap technology resists the effects of heat build-up and maintains uniformity for a smooth ride. For the Duraturn Mozzo Sport tire, call or order from our online tire store today. The Mozzo Sport tire from Duraturn is just one of the many passenger, light truck and SUV tires available at Pete's Tire Barns. Duraturn is a leading manufacturer of tires for all types and sizes of passenger and commercial vehicles. As a division of CMA, Duraturn Tire is known for their innovative tread patterns, quality rubber compounds and high value to cost ratio. Duraturn Tire makes a full line of radial tires for passenger cars, light trucks, trucks and specialty trailers. This includes tires for cars, cuv's, suv's and light trucks, as well as ultra high performance (UHP) tires and sport truck tires. CMA is a leading manufacturer of many types and brands of tires from both associate and private brands. With famous brands like Double Coin, Warrior, Dynatrail, Duraturn and Bluestar, CMA is known for suppling tires to consumers throughout the world. CMA also supplies consumer and commercials tires to a large variety of tire suppliers throughout the United States and the world. This gives the CMA the ability to produce quality tires at value prices and to produce on a scale that allows them to quickly respond to changing demands.